La Libertad, El Salvador C.A. El Grafico reports on the latest in national and international sporting news. Motor is a magazine whose focus is on cars and driving. Features include new car reviews, racing news, the latest in automobile technology and accessories. Ella is a fashion and style magazine for Salvadorean women. Features include fashion, shopping, celebrity news, diet, and health. Blur is a lifestyle magazine that features the best in culture, home & design, travel, fine dining, events, arts and entertainment. Hispanic Yellow Pages Network's goal is to publish the best Spanish-language yellow pages directories in the U.S. providing valuable information to users and an effective vehicle for local business to reach the Hispanic consumer. HYP Network celebrates and supports the rich heritage of the Hispanic community in the Chicago metro area. Northwest Home + Garden is a bimonthly regional shelter magazine designed to help readers live better lives in their homes by getting the most out of their living spaces, gardens and personal sanctuaries by focusing on interior design, architecture, furniture and remodels. 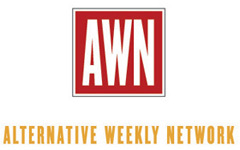 Verified and the Alternative Weekly Network (AWN) have collaborated to create a practical way to gather valuable reader shopping habits and demographic information. This turnkey survey meets the Distilled Spirit Council's (DiSCUS) guidelines for measurement of legal purchasing age. In addition, survey topics include major purchases, leisure activities, age, income, education, home ownership, and more. Please click here to view the entire survey. The survey was created to be simple and affordable. Verified designed the questionnaire and provides complete technical support. Surveys can be conducted in print, online or both. A mail or online survey can be done for $1,500. For both a mail and online survey combined, the price is $2,600. Publications provide their own prizes for the drawing and should promote participation in their publication and/or online. "The goal for this project was to develop and market an affordable, turn-key survey providing demographic data to comply with the DiSCUS Code plus leverage the survey to gather additional readership data for joint use by publishers and AWN," said Jim Desser, Verified's president. To learn more, contact Vanessa Espinoza at (415) 461-6006, ext. 204 or John Lowman at (415) 461-6006, ext. 213. Sunday is by far the most likely day for about one half of shoppers to consult advertising, while Saturday is a distant second, noted by one-fifth of consumers. The only other days in double figures are Wednesday and Friday, at 13 percent each. Preferred media source for nongrocery coupons. 53 percent of adults used newspapers to make a shopping or purchase decision in the previous 30 days, while 27 percent used the Internet, which now is the second-leading source. Even within the high-income ($100K+) shoppers, almost one-half say that newspapers are their primary shopping medium, compared with one third who rely on the Internet. A plurality among those age 18-24 consider the Internet to be their primary advertising source, but reliance on newspapers (including preprints) jumps markedly among the 25-34 age group who are married with children. Newspaper readers (48 percent) say they look through most inserts. Other readers divide about equally between looking at inserts from their regular stores, plus a few others, and looking at only those from their regular stores. Preprint readers keep their preprints for an average of four days. The leading occasions for using preprints are for checking sales or when one is in the market to buy something (three-fourths of readers). Two-thirds of readers like to browse even when they are not looking for anything in particular, while around one-half use inserts to plan their regular shopping. Regarding preferred page size for preprints, 37 percent favor newsweekly size, 30 percent favor tabloids, and 20 percent like broadsheets. On the other hand, preference for glossy pages over newsprint is robust. Eight-page inserts are preferred over 24-pages by a two-to-one margin, while very small groups of consumers prefer larger options. Newspaper Web site users, who tend to be among the most active online shoppers, favor printed inserts over online versions by a two-to-one margin, which suggests that online preprints are not as convenient or easy to use. Almost two-thirds of American adults say they "check out advertising or shopping information for things you might want to buy" at least weekly, with 1 in 5 adults conducting this search daily and another 42 percent saying less often, but at least weekly. The goal of most publications is simple: circulate the greatest number of copies to maximize their print investment, control distribution costs and grow net circulation. An indispensable way to achieve this objective is to carefully manage returns. With over 50 years of experience in auditing circulation, Verified is often asked by publishers, "How am I doing?" The aim of the study is to help publications understand and manage their returns effectively. This study is relevant to the entire staff�publishers, editors, designers and circulation�as all play an integral role in the successful circulation of a publication. Publication business models vary. Some publications precisely control returns and aim for 100 percent pick-up. Other publications never want to have an empty rack. Because of this, return tolerances vary widely, too. The study found return rates as low as 1.5 percent and as high as 29 percent. Although this study does not intend to determine what is best for your publication, it does give you starting point to evaluate your returns. The study group included all publications audited by Verified and who reported Target distribution for all four quarters of 2005 (January 1�December 31, 2005). Publications were required to be active and clients in good standing with Verified during that period. The study included both publications whose primary method of distribution is Target as well as publications whose circulation contains only a small percentage of Target distribution. The study group was divided into four sub-groups based on the average total printed. If, over the one-year period, the total printed changed sufficiently to produce a change of group classification, the publication was rounded to the closest group category or the group that most closely matched the circulation trend of the publication. Overall, the average return rate of all publications of all sizes was 8.66 percent. Verified also audits publications that are printed in languages other than English. Geographic location was also a factor in return rates. Clearly, one size does not fit all. Return rates vary broadly and are based on multiple factors, some of which you can't control, such as the competition in your market, and some you can control, such as the location of racks, consistency of delivery, professionalism of your staff, etc. Because Verified's Audit Reports are based on net distribution, it is vital to know and understand the return rate of your publication.